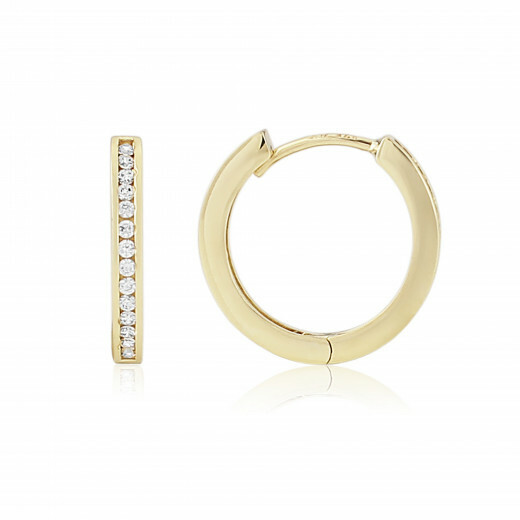 Classic, square-edged hoops are given a sparkling detail in these contemporary yellow Gold Earrings. 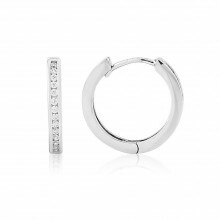 Cubic Zirconia stones are set into the centre of the hoops and have a minimal channel setting to enhance the stones. 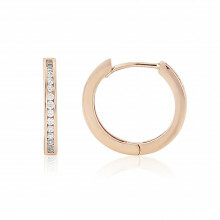 The Earrings have an easy hinged fastening.